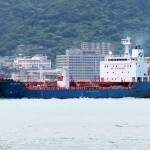 One freighter and two tankers were blown aground during the night when strong winds were whipped up near Ulsan, South Korea. 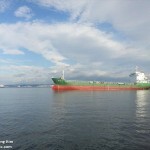 The 112 meter long, 4675 dwt freighter Zhou Hang 2, 116 meter long, 11347 dwt tanker CS Crane and the 90 meter long, 3565 dwt tanker Bum Jin 5 had been at an anchorage off Ulsan. 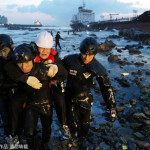 As conditions worsened, the vessels weighed anchor to move further away from shore. Before the vessels could reach a new anchorage, the winds reached 45 miles per hour and waves rose up to four meters. The vessels were pushed off course and went ashore. 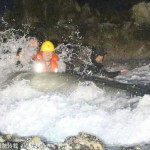 The Zhou Hang 2 suffered hull damage as it struck an underwater rock formation just offshore. 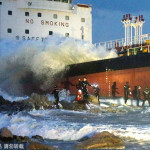 No reports of injuries to the total crew of 46 men across all three vessels. 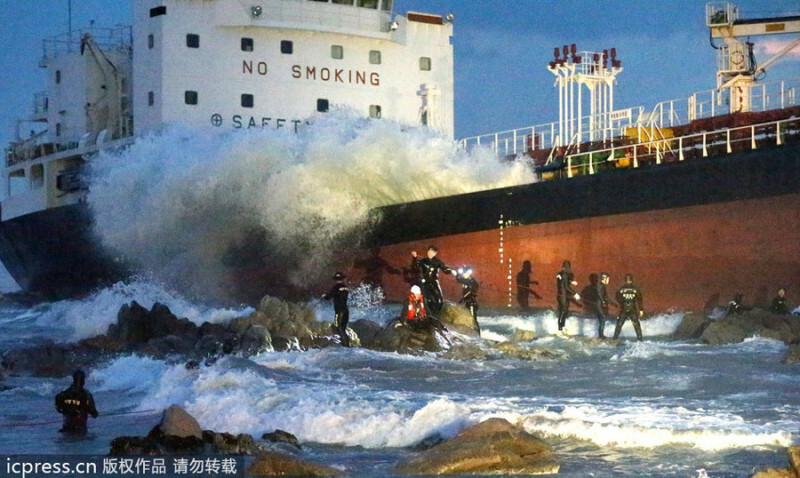 The South Korean Coast Guard responded and were able to rescue 11 crew off the CS Crane. No information has been reported if any pollution had been released. Reports state weather alerts had been issue by authorities the day before. 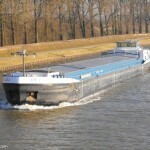 The 86 meter long self-propelled barge Itasca allided with a barrier at a railway bridge on the Hunte River near Elsfleth, Germany. The Itasca was proceeding from Brake with parts for a wind plant went it veered into barrier. 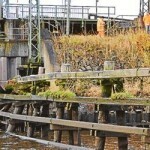 Some 25 meters of the barrier was partially destroyed along with several pillings. The Itasca suffered only slight damage. No reports of injuries or pollution released. Damage was estimated to be over 100,000 Euros. 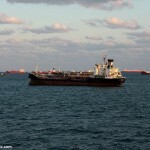 The Itasca proceeded to Oldenburg where the water police detained the vessel. 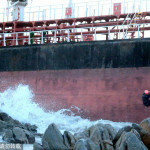 The water police has launched an investigation into the incident.